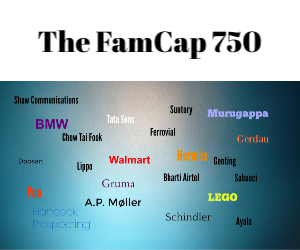 Family offices commonly originate when the first-generation (G1) wealth founder develops a sufficiently prosperous enterprise that the family’s wealth either outgrows their legacy advisors or there is a liquidity event (often, the sale of all or part of the legacy family business). The family then decides it needs professional services offering privacy, convenience, and integration. The inception of the family office certainly depends on the nature of the operating company and other assets forming the wealth. The initial design is, however, also shaped by the founder’s personality, character, needs, objectives, and what he or she believes to be the needs of the family. Its adequacy depends on the founder’s breadth of knowledge about family office design as well as any blind spots, prejudices, and knowledge gaps. the family has a collective orientation or defers to branches, households, and individuals. Aside from the founder’s vision for the family, the family office will need to interface with the Rising Generation, spouses and other relatives. Some of these constituents have direct asset ownership, some are beneficiaries of family trusts, and some look forward to one or both those roles in the future. Founders often intentionally hire family office executives with more tactical skills than strategic thinking (a responsibility that may be reserved for the founder). These former C-suite experts in finance, operations, or investments may default to their technical strengths when the position actually calls for generalist thinking, vision, and significant emotional intelligence (EQ) for the relational side of the job. Over time, they may be less suited for the assertiveness and negotiation skills required to work with a group of G2s and G3s in later years. Begin well with thoughtful planning and engagement of all stakeholders. Select a family office director and family leaders with good emotional intelligence. Clearly define the core purpose and policies of the new office. Many family offices stumble at the first crucial handoff from the founders to the next generation. As age, disability, or retirement leads to the founder’s departure, the next cast of characters moves forward. Whatever their skills or shortcomings, G2 are the next clients of and overseers to the family office. Many family office executives who were perfectly matched to the founder fail at this very first transition. They underestimate the degree of resilience needed to re-align their relationship to the family. A related mistake at this stage occurs when the family office executive perceives his ongoing responsibility is to the assets, not the family. He may see himself as the legacy caretaker of the founder’s achievements and financial capital, stewarding the assets for the good of upcoming generations. Though well-intentioned, this stance can be short-sighted. It neither informs, educates, nor engages members of the Rising Generation for eventual succession to positions of oversight. The executive may not be prepared for the next generation to become his or her bosses. Even if the Rising Generation is not yet ready to assume positions of leadership and decision-making, the executive must always remember that the family owns the assets and ultimately must grow into their management. Otherwise the Rising Generation can wither into dependency or chafe under paternalistic control, eventually revolting against the family office and ousting its leadership. Hold cross-generational briefings to share information and any challenges ahead. Seek out and educate potential next generation leaders. Define needed changes in the organization of the family office for the new generation. The sale of a major asset requires intensive action by the family office. A liquidity event can demand the full attention of office leadership for the period before, during, and immediately after the sale. What may be missed is the larger impact on the family and family office. The sale has inordinate meaning for the family on many levels. For better or worse, the asset may have been the glue that held the family together. The disruption may also be experienced very differently by Elder Generations, Rising Generations, and various family branches, upsetting any equilibrium present. Liquidity events unmoor the family from many of its anchoring values and landmarks. The family office is faced with new pressures for increased services just as the family loses at least some cohesion and group identity. Without proper advance preparation, families and their family offices can find liquidity events mark the beginning of a new phase of family discord and dysfunction. Define new leadership and mission for the family office. Develop financial skills in as many family members as possible. Allow family members options for remaining together or going separate ways. G1-to-G2 transitions and family liquidity events commonly precipitate a host of secondary adaptations that stress an established family office. With a larger number of branches, households, and investments, staff encounter escalating demands to serve the family’s social, philanthropic, intellectual, human, and spiritual capital, well beyond its financial capital. On the family side, G2 may be embarking on the formal structures and processes of family governance. What the founder executed casually now needs to be formalized for smooth operation of the extended family system. The family office then finds itself having to collaborate with a family council and/or family assembly, complicating the cozy collaboration it enjoyed with a single leader or board. The office now may face requests for family education, assembly meetings, academic/career counseling, and a host of other activities never contemplated by the founder. The ascendance of G3 brings even more changes. Potentially less influenced by the founding generation, G3s in leadership may also feel less constrained by the wealth creator’s wishes. Their presence now as the adult generation challenges the family office to answer important questions: Who is the client? How are the family and the family office connected? How close to each other will this relationship be? As in marriages, the relationship between family offices and their families must periodically be renegotiated and upgraded to fit current circumstances. Continue to hire talent with emotional intelligence skills. Define engagement policies and practices for all family members. Recruit advisors and independent board members who truly add value. The family office represents a collaborative alliance among three groups of stakeholders: the elder and younger family generations and the professionals who run the office. Successful long-term development rests on effective collaboration across these groups. Elder Generations set a foundation of legacy values and practices for the family, together with leadership, mentoring, and stability. They must nevertheless transfer power over time to their maturing adult children and to their non-family advisors. The Rising Generation needs to learn, grow, and evolve into leadership while respecting the wisdom and experience of their Elders and the family office. Family office executives must in turn act appropriately yet objectively as good partners to each generation. Each family office is, yes, individual and unique. But a developmental perspective reveals the common themes to be faced at some point over time. Planning well, hiring well, and collaborating well make all the difference between success or failure across generations. Capsulized from The Resilient Single Family Office: A Developmental Perspective, International Family Offices Journal. 2018. Vol. 1, Issue 8, June, pp. 18-26. For the full article outlining the themes cited here, please contact Ms. Sian O’Neill at sian@globelawandbusiness.com or the authors via their websites. Well done. I recently met the authors at PPI meetings in Denver. They are very articulate.